Dr. Julie Slayton is Professor of Clinical Education at USC Rossier, where she has taught in the Ph.D. program and currently teaches Framing the Social Context of High Needs Schools in the MAT program and Inquiry II in the EdD program. 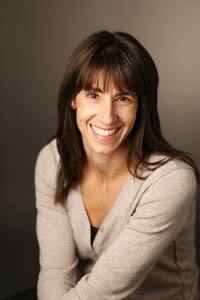 She has also taught The Application of Theories of Learning in Classroom Practice and Human Differences in the MAT. A few of her areas of expertise include school and school district system change; teacher principal and administrator evaluations; school and school district accountability systems; teacher practice (instruction) and practice (instructional) improvement; leadership, professional development and adult learning; and qualitative research. Slayton’s research has focused on the examining the quality of instruction provided to children in elementary school classrooms and adults in professional development settings. Slayton worked with the Rossier School Office of Professional Development Programs on a workshop series for the Asia Pacific Center for Security Studies. The series was designed to transform the teaching structure from a lecture-centric model to a learner-centered model. She continues to be most interested in understanding and creating the learning conditions and the pedagogy/andragogy necessary to improve child and adult learning opportunities in urban schools and school districts. She has consistently written on both of these topics throughout her career. Slayton worked for the Los Angeles Unified School District for almost 10 years. During that time, she served in a variety of research and leadership roles. As the Director for Research and Planning, she directed research and policy analysis related to the implementation of instructional policies and programs and worked directly with principals and coaches to improve their approach to professional development and improving teacher practice. Prior to this position, she served as the Assistant Chief of Staff to the Superintendent, the Chief Accountability Officer for the District and as a Chief Research Scientist for the District’s Program Evaluation and Research Branch. Prior to her work with the District, Dr. Slayton studied charter schools and school finance at UCLA and her dissertation focused on the relationship between state charter laws and district charter school funding practices. In addition, Slayton practiced law and was a consultant for the U.S. Department of Justice, Office of Juvenile Justice and Delinquency Prevention on Federal and State laws pertaining to students’ constitutional rights on campus and inter-agency information sharing regarding juveniles who are at risk of or already engaged in delinquent behavior. She holds a BA in History for the University of California, San Diego, a J.D. from Pepperdine University School of Law and a Ph.D. in Education Policy from the U.C.L.A. Graduate School of Education and Information Studies.